FAD (Casual Fridays) is back with the goal of discussing its final three albums (8, 9, 10) before the New Year (and don’t expect Bob Dylan’s X-mas album to finish the list, b/t/w). Arcade Fire is one of two super-indie bands hailing, in part at least, from Canada, the other being Broken Social Scene, a band best known for spawning the solo career of Feist (yes the one-two-three-four-tell-me-that-you-love-me-more hot-crumbly voice from past iPod commercial fame). Unfortunately commercial success is not the unifying element between Broken Social Scene and Arcade Fire, massiveness is, as in sound and sometimes members; as in, how to make Indie-music fill every square inch of your brain, as in, there is no way this is a small club band. Both are super-cool, particularly when they play small clubs, when you can walk from the bar into the live room and feel your hair blow back, like the sedentary audiophile of old Maxell cassette-tape fame. Indie bands with a big sound demand massive, unforgettable songs, like take-me-to-the-Jersey-shore-for-a-big-enough-hook-I-can’t-forget, big sounds that fill your ears for hours, days even, after their final note. It’s in this area (unforgettable songs) where Arcade Fire broke away from their indie brethren, delivering song after song to near perfection on their first big time studio effort, Funeral, an exploration of orchestral pop music played up against the lyrically weird awkwardness of being young and confused by the behavior of supposed adult role models. With Funeral Arcade Fire began their exit from the club scene, probably for good, now using their big sound for evil by filling large arenas (I saw them early this summer at MSG), but no worries, even those shows are about as good as live indie rock can get. What often distinguishes much of the indie music scene is its unique definition of musicianship. Unlike some of the older school rock, where musicians dominated their instruments, a la Jimmy Page over his Gibson Les Paul, many indie musicians like to mix it up, interchanging instruments throughout a live performance, a trick captured by Arcade Fire from the wake of bands like Yo La Tengo, You Will Know Us by the Trail of Dead and yes, even, Radiohead. It is a trip to watch the lovely chanteuse Régine Chassagne switch from accordion, to xylophone, to keyboards, to banging it out wildly on the drums, all while delivering haunting backing vocals to the bombastic wails of husband Win Butler, himself a multi-instrumentalist. Of course, as most musicians will admit, it is one thing to play many instruments, it’s another to master them, and within Arcade Fire’s music you get the feel that they have not so much mastered their instruments, but rather rhythm and orchestration. This music thrives on beat and ambience as a backdrop to very catchy melodies and songs that are not necessarily structured in a way we would expect, but that are long-lasting nonetheless. 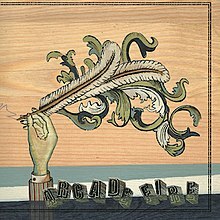 There are few bands that walk the edge between innovative and catchy successfully, but with Funeral, Arcade Fire does this about as well as any. It’s memorable, it’s musical and it’s fun, especially if you can remember what it was like to be a simultaneously confused and idealistic teenager. The band is a family affair (like another favorite Kings of Leon). Régine Chassagne (the true Canadian in the band) is married to Win Butler (a Texan), with Win’s brother William included on backing vocals and instruments. Funeral is the beginning of a run of three great records from the band, the second being Neon Bible and third, the Suburbs, was released this year and is definitely in the running for my favorite album of 2010. Here’s a video of my favorite track from Funeral, Wake Up, from back in the band’s early days, six years or so ago, when they were shaking up the clubs. Stay with it – the last minute and a half offers a nice surprise and illustrates one of Arcade Fire’s pop tricks… I love it! Another great selection. Can’t wait for the final choices.